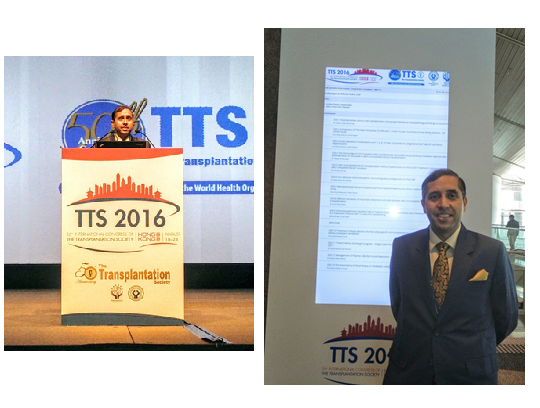 Dr Amit Sharma, Nephrologist, was invited to presented FHM’s work on ABO incompatible kidney transplant at the 26th International Congress of the Transplantation Society at Hong Kong. 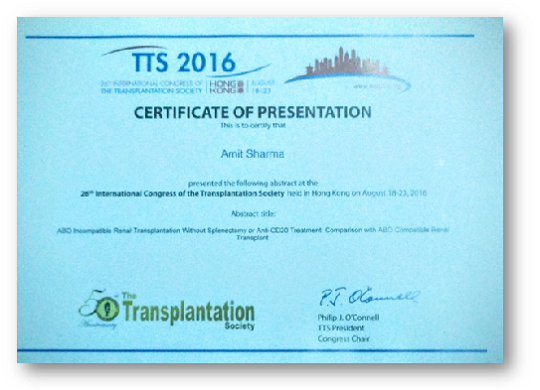 As this is a unique form of transplantation, and not many centres are doing it, the work was highly appreciated at the forum which involves participation of transplant professionals from around the globe. Congratulations Dr Sharma!